Native landscaping has swept the nation. From the coldest Alaskan gardens to the most tropical regions of Florida, naturescaping is a fantastic way to conserve water and ensure that plants can thrive in your yard and garden. In Austin, native plants are great at withstanding the temperature swings from frosty winters to blistering summers. They conserve water in dry winter periods and hot summer droughts, and can protect themselves against even rapid back-and-forth hot and cold periods, like those that characterize Texas falls and springs. 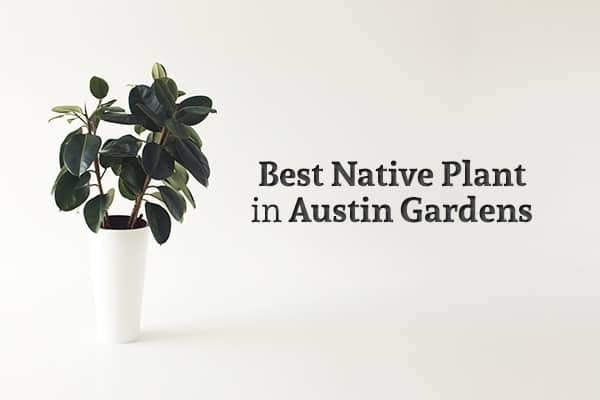 Here are five of our favorite native plants to include in your Austin garden. Read through the descriptions, or just go ahead and write the names down and head to the nursery now! One of the most recognizable agave species, Agave havardiana, has typically spear-shaped succulent leaves with serrated edges. The leaves are a pale blue color, which is sometimes complemented by pink tips. When the plant reaches full maturity – a process that takes between two and four decades – it will exhibit a stunning yellow-flowering stalk. The plant is tolerant of extremely dry soil and can survive long periods of drought, typically needing only a drenching or two even throughout a long, hot summer. It can take thrive in full sunlight, but also does well in light dappled shade. Alternatively called the Brushy Bluestem, the grass Andropogon glomeratus takes center stage in winter. Its flowers do not look like traditional blooms, but rather take the form of “racemes” (fluffy heads on top of long stalks). These appear in spring and summer, but the colder months are where they stand out. In fall, the sheaths that contain them turn an appealing bronze, and in winter, the white fluff catches the light beautifully. Latin name Cercis canadensis, the pink-blossoming Eastern redbud tree is a member of the pea family. You can see this relation if you look at the shape of its blooms, which resemble the common roadside sweetpea. The buds explode into incredible flowers in spring, but provide an interesting focal point the rest of the year as well. It has heart-shaped foliage in summer and fall. In blossom, leaf or naked, it looks especially dramatic at nighttime with lights shining up at it from below. The Yaupon holly, also called just Yaupon or Cassia, is a smooth-leafed holly with white flowers in spring and bright red berries in fall and winter. As such, it’s a perfect addition to the gardens of those who like to use clippings to deck the halls in winter. Don’t be misled by its Latin name, Ilex vomitoria. While it probably isn’t the best thing to add to a salad, it isn’t poisonous and won’t cause vomiting if consumed. Its waxy leaf surfaces, moreover, make it a wonderful landscape plant, catching both natural daylight and nighttime illumination in a glittering display. Milkweed is a huge collection of plants whose blooms take the form of round cluster heads. The spider milkweed, also called Antelope Horns, Green-flowered milkweed and Spider Antelope-horns, is one of the prettiest examples, with tiny white blossoms gathered in clusters around its flowering body. The flower heads themselves also cluster together, creating a puffball effect. The plant even thrives in summer due to the plant’s drought tolerance. If you’re looking for other flowering plant options, we highly recommend the Lady Bird Johnson Wildflower Center at the University of Texas in Austin. It offers a comprehensive look at native plant landscaping in the Lone Star State and will help you find plants that can withstand the particular rigors of this area. Not quite sure how to pick the right lighting to complement your plants or the right plants to complement your landscape lighting? 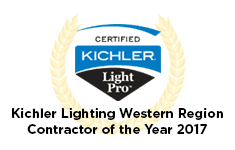 A consultation with Enhanced Outdoor Lighting & Design can help! Our friendly, knowledgeable team of professionals will visit you at your home, survey the grounds, and help you determine the best design options for your yard and garden. When you’re ready to get in touch, please give us a call at 210-585-7909 in San Antonio or 512-359-0071 in Austin. We are standing by and ready to help you get the yard of your dreams.